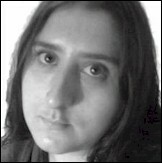 Marion Woolley recently secured a publishing deal with a publisher she found in firstwriter.com's database of over 1,400 publishers. We asked her about her writing, and how she found success. fw: Thanks for taking the time to talk to us, Marion, and congratulations on having placed your book with a publisher. Could you tell us a bit about it? MW: The book is called Angorichina and it’s about a tuberculosis hospice in South Australia in the early 1930s, told through the eyes of four patients: Charlotte, Joe, Heath and Sean. The time period puts it just on the cusp of medical history, before the invention of antibiotics. Being diagnosed with TB was more or less a death sentence for many, one that could take several years to claim you. The book has a lot to do with how each character copes with the situation they find themselves in. How they deal with their own mortality whilst being miles from home, surrounded by strangers, and with very few distractions. It could be considered depressing subject material, but I’d like to think of it more as a testament to human resilience and to the type of relationships formed under extreme conditions. fw: Where did you get the idea from? MW: In 2003–4 I spent a year travelling around Australia with my partner at the time. We went all over the place. Starting off in Melbourne, we worked on a fruit farm up near Swan Hill, did the Great Ocean Road, Canberra, Sydney, then bought a car and drove for two weeks across the Nullarbor to West Australia where we lived in a tent in Fremantle. Once we made enough money, we decided to splash out on one last adventure. So we sold the car and took a plane up to Alice Springs where we joined a tour down through the centre to Kings Canyon, Uluru (Ayers Rock) and Coober Pedy. One of the last stops was a backpackers’ hostel up in the Flinders Ranges, just North of Adelaide. This was Angorichina Station, which is still there today. I’m not sure when it stopped being a sanatorium, but I remember feeling a real sense of history about the place. It just never left me. fw: So were you inspired to start writing straight away, or was it something you came back to later? MW: It took me about four years to decide to actually write the novel, then five months to complete it. I’d had a go at writing the first chapter a couple of times before, but it wasn’t until I switched to first-person that it really took off. It was as though the characters were sitting in front of me, telling me about their experiences. This change in style helped me to tap into the part of my psyche that already knew what to write. I had shockingly bad handwriting at school, so I think I came to rely on computers to communicate effectively. On a really good day, once I know where the story’s going, I can knock out 10,000 words. It just appears on the page. The downside is that I work in fits and starts. Some days I’ll go without sleep, others I won’t write anything at all. fw: Have you done any writing before? In 2007 I moved to Africa for a couple of years. It gave me a lot of spare time and that’s when I decided to really make a go of writing. Within a year I’d completed two novels. My first was shortlisted for the Luke Bitmead Bursary in 2009, but never actually published. The second, Angorichina, has just hit the shelves. So I’m fairly happy with how it’s going so far. fw: Do you think a track record is helpful when trying to place a work? MW: That’s a difficult one. Ultimately, the piece of work in front of a publisher is the one they’re reading. If it’s what they want, they’ll take it. If not, they won’t. I think the advantage of building up a portfolio is less important for the publisher than it is for the author. When you’re trying to get published you can get a lot of knock-backs. If you’re not careful, you can find yourself developing a real downer on your own work. The worst thing for an aspiring writer is to lose confidence in themselves. A strong portfolio of work is a collection of success stories. Like a scrapbook of good memories that you can leaf through on a grey day. It helps to remind you that you are good enough, that people have published your work and that you should keep at it. fw: How did you go about trying to get your book published? Did you start by trying to find a literary agent, or did you approach publishers direct (and did you secure your deal directly, or through an agent)? MW: I think I did it the long and convoluted way. Originally I didn’t really distinguish between agents and publishers. I started off scouring the firstwriter.com listings for anyone who accepted email submissions because, let’s face it, printing costs money. I started an Excel database of who I’d applied to, what I’d sent them, when, and what their response was. Rejections in red, still waiting in amber and – finally – successes in green. My twelfth "no" was a "yes" from a newly established publishing company. Earlier on I’d had a very polite rejection from an agent who entered into an interesting correspondence with me about the market for literary fiction. I hired him on a one-off basis to check through the contract before signing. I still think this was a good move as I had no idea what the norm was, and he pointed out some useful alterations. Once you’re published you can join the Society of Authors and they offer free contract services – but that’s not much good when you’re just setting out. MW: I think firstwriter.com is just a good all-round piece of kit. I’ve used it to enter competitions, search publishers and agents. Possibly the most useful feature for me was that I could look for those that accept e-mail submissions. In this day and age it doesn’t make a lot of sense wasting money by printing out the same work over and over. And until a book is making money, you don’t really want to be spending it. I also like the fact that people leave reviews of agents and publishers. I’ve left a few myself and I’ve steered clear of those with dodgy reputations. fw: What kind of approach did you take when submitting to publishers? MW: Fairly early on I ignored the advice of applying to one publisher at a time. Some take between three to six months to reply. At that rate it would have taken me five years to meet my publisher. It’s a bit dog-in-a-manger to say "we don’t want it, but nobody else can consider it either". I have to admit, I’ve written just about every type of approach letter it’s possible to imagine. I’ve tried following guidelines, and I’ve tried begging. If I had to pick a style, I’d go for brevity and professionalism. Mention your previous work in the first paragraph, why this book is marketable in the second, and a brief synopsis in the third. End with a "thank you for your consideration", hit send and go to the pub. It’s better for your own sanity not to keep reading back through submissions. fw: Did you receive a lot of rejections? MW: You really want to tour the hall of shame? I received ten straight rejections from agents. One sent a lovely handwritten message saying "but I really liked it, though" – which was very sweet, but all I kept thinking was: "if you like it, represent it!" Another agent told me that, had it been ten years ago, he might have said yes. The problem being that I write literary fiction, rather than commercial. After my lack of success with agents, I then sent off to two publishers. Very quickly I got a reply from one asking for the full MS, and a couple of days later I was offered a contract. I have to admit, I never had a nasty rejection. They were all either standard slips or polite replies. fw: Which publisher signed you in the end? MW: The publisher that took me on was Green Sunset Books. They’re newly established, but I like that. There’s a sense of possibility when you join a fresh venture. Everyone’s full of enthusiasm, and there’s a real vibe of camaraderie. Green Sunset Books specialise in stories about travel. As I travel a lot, most of my stories draw on those experiences. So for me they’ve been a great introduction to the industry. We’re reading from the same page, as it were. fw: What tips would you give other writers searching for a publisher? MW: Trust your own instincts. If you think your work is good, then the chances are it is. Remember that rejections are just a marketing decision. It doesn’t necessarily mean that your work is bad, just that it doesn’t hit that publisher’s particular market. For instance, Lionel Shriver mentioned at a literary festival that she received thirty rejections for We Need to Talk About Kevin. Which can’t have been based on the quality of her story, otherwise it wouldn’t have gone on to become an international bestseller. I think you have to foster a certain arrogance towards your own work. If you’re really set on running the gauntlet of rejections, then it’s important not to lose your mojo. If you know your work is good, then act like it. You have a product to sell to people who are in the market to buy. First come, first served. Don’t deign to give away your own self-worth. At the end of the day, if you do manage to exhaust every avenue of publishing, take a leaf out of D. H. Lawrence’s book. Nobody would take one of his works, so he self-published it and made a fortune. Amanda Hocking is another fine example. You always retain the right to prove others wrong, and never before has the opportunity been affordably available to so many. fw: And now that you've got your publisher, how are you finding the publishing process? MW: The process? It makes writing the book feel like child’s play. Nobody warns you about what comes next. Even with an excellent publisher like Green Sunset Books, there’s quite a bit of work involved in getting it onto the page. I’d drawn a lot from contemporary culture of the 1920s and 30s. It gave the story an authentic feel, but also resulted in having to track down some impossible lyric reprint permissions. The total process took four music companies nine months to complete. The upshot being that I’m now a budding expert on international copyright law – not out of choice, mind. More commonly though, I think it’s hard to maintain enthusiasm for your own work over such a long period of time. Stories are immediate and of-the-moment. Unfortunately, I think it’s true that after you’ve re-read your work for the twentieth time, you’re ready to let it go; to release it into the wild. Babies are born to grow up and leave home. By the time it finally hits the shelves, you’re more than ready for your next adventure. fw: So are you already on your next adventure? MW: Well, I’ve written two other novels since then. I’d also like to tear apart my first novel, the one that was shortlisted in 2009, and see whether I can improve upon it. The characters and the plot are both very strong, but it is a little clumsy in parts. It would be nice to attract an agent, but I’m through trying. It’s a bit like dating, you don’t want to settle for the first person who comes along – you want to find someone who’s right for you. At the moment I’m just enjoying myself on retreat in Poland and East Germany. Meeting artistic types and hanging out in post-communist bars, soaking up the atmosphere. I’m supposed to be writing, but right now real life seems more interesting. Gathering inspiration, as I call it. fw: Well, good luck with the current book, and all your future adventures! For all the latest on the release of Angorichina visit the author's website at www.authormgw.co.uk. The Canadian Short Screenplay Competition’s 2008 3rd place script "Rusted Pyre" written by Daniel Audet will have its world premiere bow as part of the 17th annual Canadian Film Centre’s Worldwide Short Film Festival May 31–June 5, 2011 in Toronto. Regina, SK— The Canadian Short Screenplay Competition, the most prestigious name in short film script contests, has earned one more honour: a world premiere at the exclusive CFC Worldwide Short Film Festival. Selected from more than 4,150 submissions to WSFF, Rusted Pyre, originally a short film script penned by screenwriter Daniel Audet, was first entered as a screenplay to the Canadian Short Screenplay Competition in 2008, where it eventually placed third beginning its current journey and eventual production. CSSC founder and producer David Cormican (Minus Lara, Seeing In The Dark), attached director Laurence Cohen (Rocket Man) to helm the genre piece. The team of three, working on Rusted Pyre, also picked up distinction as recipients of the National Screen Institute’s Drama Prize, where the screenplay underwent additional development in Winnipeg in 2010 before being shot later that Fall in Havelock, SK. The Alberta team received financial support from the Alberta Foundation for the Arts to shoot the prairie piece, about two girls, Brooke Palsson (Less Than Kind) and Samantha Somer Wilson (Nurse.Fighter.Boy), who venture out to an abandoned car in the middle of nowhere to endure a right of passage and a night of ghost story telling that turns terrifyingly all too real. This is the first screening for Daniel Audet, David Cormican, Laurence Cohen and the Canadian Short Screenplay Competition at the Worldwide Short Film Festival. The Canadian Short Screenplay Competition, administered by Year of the Skunk Productions (Regina), and established in 2008, is the premiere script contest for short film screenplays. CSSC is the single-most competitive, prestigious, short screenplay festival in Canada, winner of the 2010 Canadian Weblog Award for Literature and Writing, a champion for screenwriters everywhere and a launching pad for writers’ professional careers. Following customer feedback, firstwriter.com has this month improved its publishers database so that it is now not only possible to exclude publishers that always charge fees, but also those that charge fees on any occasion, producing a list of only publishers that never charge authors any fees. Because we think writers serious about making a success of their craft should at the very least start by focusing on publishers who never charge authors fees, the new option has been set as the default option. But why might you ever want to see publishers who ever charge authors fees? Well, the first reason is to check up on the kind of company they are. Maybe you've seen them somewhere else on the internet – you can find them on firstwriter.com to see if they are ever known to charge fees, and to see if other users have left any further information about them. There are also some instances where self publishing companies have used their proceeds from self publishing to start up traditional royalty-paying publishers – but you always need to be careful in such instances that the traditional publishing wing isn't just being used as a front to attract authors before passing most of them on to the self publishing side. And finally, of course, self publishing might be what you're after. If you want to make a few copies of your memoirs, just to pass down to your children, then there are companies out there that will do that for you – for a fee. But it can't be stressed enough that if you're serious about you're writing – if you want to be a novelist, a professional writer, or sell your book in commercial volumes and make money from it – then you need to look for a publisher that pays you – not the other way round! Since most of our customers fall into this category, we've made this the default option. If, for any reason, you do want to see publishers that charge fees you can just untick the "No Fees" box on the standard search, or see the Advanced Search at https://www.firstwriter.com/publishers/advanced_search.shtml for more options. WriteSpread is a new online writing community developed to accommodate all lovers of the written word, and strives to bring writers and readers together. Writers will be able to publish their work, in draft or as final pieces, while allowing other passionate members to critique what they read. Feedback from others who enjoy reading, or who themselves express their creativity through the written word, is the cornerstone of developing as a writer. As a reader, you will find a range of imaginative and interesting work at your fingertips. Your hunger for original, creative pieces of writing will be satisfied as you follow your favourite writers and become an admirer of others. You can visit the site at www.WriteSpread.com and register your interest so that you will be kept up-to-date with the exciting and innovative features you can expect to see on WriteSpread before launch. For a creative community to thrive it needs enthusiastic members like you who can inspire, encourage and teach each other. As I sit staring at the blank computer screen, I ponder: what do I write about? What kind of a silly question is that? I've been writing long enough to know that when writers are faced with blockage or simply trying to find a saleable idea, we look within ourselves to our own interests. That's where the best stories lie. We just need to tune out the noise around us and focus on our likes, our dislikes, our interests and hobbies, our jobs – what we love to do in our spare time – things of this nature. Before long, the answer to our question is right before us, and that blank computer screen starts filling up as our fingers fly across the keyboard non-stop at a pace that makes us look down and see who's actually doing the typing! There have been so many times during my career that writing was the furthest from my mind when I approached my computer. There have been times that ideas were popping out ninety-to-nothing, but because I wasn't focused, they didn't end up on my computer screen or paper. Personal and private problems sometimes can deter us from being focused – even physical problems can cause this to happen. Nevertheless there are ways to get your creative juices flowing, filling up that blank screen word after word. My hobby is travel – I long to be on the open road all the time but money situations and work keep me closer to home more than I like. If I were rich (no where near it! ), I'd burn up the pavement as my mother use to tell me. But because my passion is travel, I do afford myself several trips a year to different places for one or two week intervals. And since my second passion (and part of my career) is writing, what better way to find ideas to write about non other than in my travels. Since travelling and writing are my passions, I decided to combine the two and become a part time travel writer. There are ideas everywhere! Although my travel writing experiences have only been for my journal, I can look back and clearly see several article ideas shining forth from page after page of hand written journal entries about the beautiful (and not so beautiful) places that I visited last year on vacation with the grandchildren. Another series of article ideas are: 'Vacationing with the Grandchildren', or 'Choosing the right tent for families' or '10 Best Vacationing Spots in Colorado' or 'How to pack light for a camping trip'. The list goes on and on. Hundreds of article and story ideas are waiting to be transformed here and I don't have to leave my desk – I took the trip and recorded the details and have every kind of brochure and post card possible... I captured the moments in my journal, in my mind and in my heart. Now, I should put them on paper. When you're sitting staring at your blank computer screen, and can't figure out what you know to write about, think about your own interests. What do you really feel passionate about? What are some of your favourite hobbies or pass times? Do you sew, cross stitch, knit, or embroidery? Do you paint? Do you sing or play an instrument? Do you love cooking? Or designing? Whatever your interests may be, there are hundreds of story ideas just waiting to be tapped. You just have to get your own creative juices flowing and let your creativity be your guide. Write about things that interest you. Others are interested too and would love to read what you have written. FREE WRITE for 10 minutes whatever comes to mind. Try this several times until you have written for at least thirty minutes. READ, READ, READ. Read magazines for writers such as Writer's Digest, The Writer, or Writer's Journal, to name a few. Go online and subscribe to firstwriter.com (you can also sign up to this free newsletter). Reading these magazines can help motivate you and get you writing again. Take a writer's class at the local college. Join a writer's group. Make friends with other writers in the group. Attend a writer's conference or workshop. Whatever your interests may be, there's a storehouse of writing ideas just waiting for you to unleash them on paper. Let your creative juices take you to published heights you've never been before. There's no better time than right now to start writing!